Tres Vieille Reserve is the proud result of the blending of the most aged brandies of the House of Janneau. These 'eaux de vie' - mainly distilled by Simple Chauffe, - have been carefully supervised and individually sampled throughout an ageing process of a minimum of 18 years to more than 30 years in oak casks, and then chosen for the Tres Vieille Reserve blend for their specific qualities. 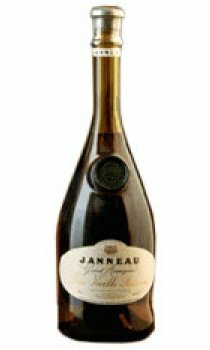 The bottle shape of Tres Vieille Reserve, reproducing the ancient Armagnac bottle, is the House of Janneau tribute to the oldest distilled spirit of France and probably of the world.